Now, there’s something to match every golfer’s driving style. The Sharp Car Ion Generator improves the quality of air in your vehicle. Designed to fit into a car’s cup-holder, it spreads highly concentrated Plasmacluster ions throughout the car interior to break down unpleasant odours such as the smell of pets or tobacco smoke. It also removes airborne mould spores and allergens. Designed for in-car use, the power source is the car's cigarette lighter style power outlet. It is simple to operate and reasonably quiet in operation. The Car Ion Generator is constructed from a black gloss finish plastic and comes in the shape and size of a large travel mug. Now, that good look is made even classier! 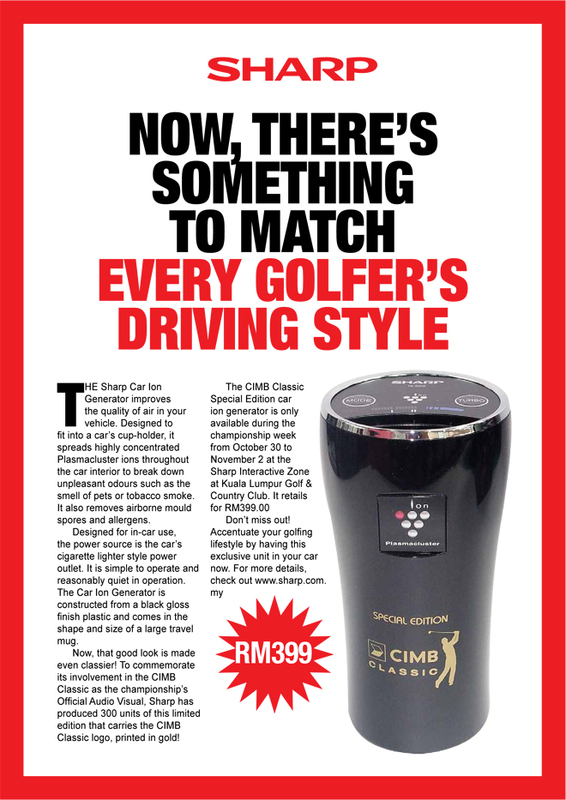 To commemorate its involvement in the CIMB Classic as the championship’s Official Audio Visual, Sharp has produced 300 units of this limited edition that carries the CIMB Classic logo, printed in gold! If odors in your car are aparticularly a concern, use theTurbo airflow mode to releasePlasmaclustter ions at abouttwice the speed of standardairflow mode. *1 Comparison of times required to deodorize clinging smoke odor to an unnoticeable level: Standard airflow mode takes approx. 60 min. and Turbo airflow mode approx. 44 min. High-density Plasmacluster ions provide skin-beautifying effects for both driver and passengers in a car while driving. Along with the metal body, the IG-DC2 is equipped with ion indicators that light blue at the air outlet and operation indicators designed in the motif of a car speedometer, providing a high-quality and stylish design. Don’t miss out! 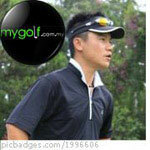 Accentuate your golfing lifestyle by having this exclusive unit in your car now. Please pm me for more info. "What's my handicap? Use to be my slice.. now I am fighting hooks!"